Come and ride your ATV through the Northern Wilderness. 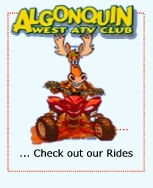 ?Based out of Cochrane Ontario Bear Tracks ATV Tours provided guided tours using your ATV as?a primary mode of transportation.? Ride the streets of Cochrane, visit our Polar Bears at the Polar Bear Habitat & Heritage Village, or take a tour you won't regret. If you are looking for a leisurely family ride or looking for an extreme mud filled trip we can take you where you want to go. The scenery is breathtaking... You may even see a bear or moose while on your ride. First Class Trails...World Class Experience! 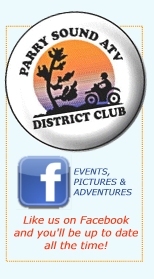 Do you want to ride on endless ATV trails with a club that is active and serious about atv recreation? Do you want an area that has exceptional trails signed, mapped & insured? Do you want to ride with responsible atvers that know the trails and help each other out as a "brotherhood" of atv riders? Do you want to trail ride in truly deep woods wilderness conditions? If your serious about atving? 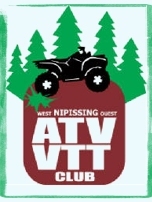 Haliburton ATV Association?/ Algonquin West ATV Club?/ North Hastings ATV Association?would seriously like to have you visit us in Haliburton, Kawartha, Madawaska, Peterborough, Almaguin or Muskoka. We have trails for all levels - beginners to expert. We have an extensive network of accommodations and services including an active trail wardening program and excellent community relations. Most roads are open In Haliburton County to allow easy access to trail heads. We are constantly developing new trails and MNR approved bridge construction. It's all fun. 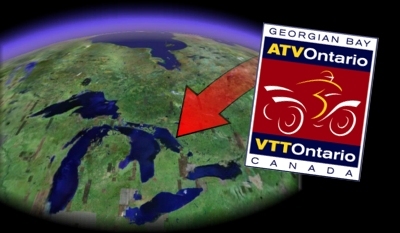 Come on in and have a look around ourHaliburton ATV association promotes responsible ATV use on private and crown land use during the spring, summer and fall. Our rugged terrain and scenic natural wildness makes the region ideal for your ATV trail adventure. 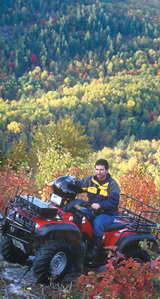 Haliburton ATV association believes that trails are an important economic and environmental resource that have to be sustained to assure our communities economic future and way of life. 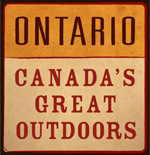 Our association was formed so that ATV enthusiasts can enjoy the beauty of area trails. Equally important are the prospects of ATV trail touring and positioning the recreation sport politically and economically in the community. One of the associations mandates is to work closely with other area trail organizations including HCSA our local snowmobile club that dedicates much effort to maintaining area trails. Last but not least we feel education towards responsible ATV use is paramount to the future of ATVing. Mattawa, ATV friendly, has it all! 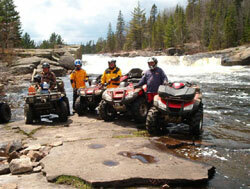 In Mattawa ride your ATV from your accommodation to the trailhead and then experience 300 kilometers of diverse trails. 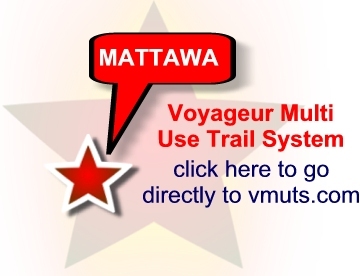 The trail system is nestled between two small mountain ranges, the Algonquin Highlands and the Laurentian Mountains, and is bordered by the Mattawa and Ottawa Rivers. This site-seeing paradise with constantly changing terrain offers the bold ATV adventurer challenging rock climbs and wet muddy areas.